More than 1100 editions of Don Quixote by the Spanish writer Miguel de Cervantes donated to the Library by Dr Ben Haneman. The Cervantes collection contains over 1100 editions of Don Quixote by the great Spanish author Miguel de Cervantes. Gathered over 30 years by Dr Ben Haneman, the collection also includes hundreds of additional works by Cervantes. The oldest volume in the collection is an early English translation of Don Quixote by Thomas Shelton, published in 1620. To meet the demand for an English edition, Shelton completed the translation in only 40 days. A number of more accurate English translations followed, including editions by John Philips (nephew of John Milton), Peter Motteux, Charles Jarvis, Tobias Smollett and John Ormsby. Every significant English translation of Cervantes’ novel is represented in the Library’s collection. 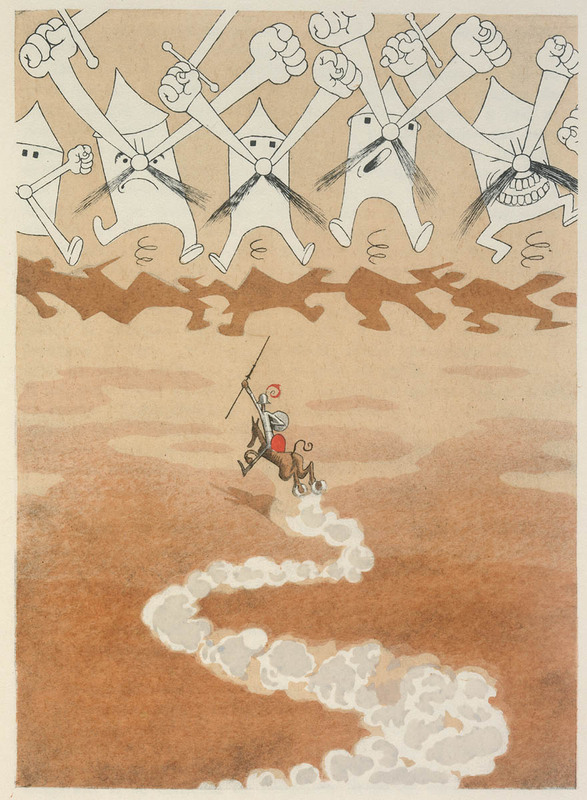 Don Quixote has been translated into over 60 languages, many of these editions are represented in the collection, including Armenian, Greek, Finnish and Japanese editions. There are also many illustrated editions by well-known artists such as William Hogarth, Gustave Doré, Salvador Dali, Albert Dubout and Edward Ardizzone. Cervantes’ novel also inspired a number of related works, including a curious edition published in 1752: The Female Quixote, or, The Adventures of Arabella, by Charlotte Lennox, with an introduction by Samuel Johnson. In this work, the heroine, Arabella, is a young and generous heiress who models her behaviour on seventeenth-century French romances. You can find more information on what is held in the Cervantes collection through our catalogue.